Discussion in 'Smartphones and Tablets' started by Raidriar, Sep 12, 2018. Today was "the big day", the "Gather Round" event that unveiled the new 2018 iPhone lineup. The iPhone XS has been priced to start at $999, the XS Max at $1099, and the "budget" iPhone XR at $749, all with starting capacities of 64GB. My personal opinion: A mostly incremental update, a boring rehash of the iPhone X (which is now discontinued), which does not justify the price hikes across the board. Most disappointingly, Apple has now axed the iPhone SE, without a replacement in sight in terms of size and price. In addition to the iPhone 6S has also been removed from the lineup. The ugly notch is still present on all three models. If anything, the iPhone 8 is the best phone Apple currently offers, as the 7 is a ticking defect bomb, and the new lineup is priced out of this world for such a mediocre upgrade. Shame on you Tim Cook, and the rest of Apple. It seems you've completely run out of ideas and steam, when the most exciting part of your iPhone event is the Apple Watch Series 4. Furthermore, if I went and bought a brand new macbook and brand new xs, I still couldn't hook the two of them together without a dongle. 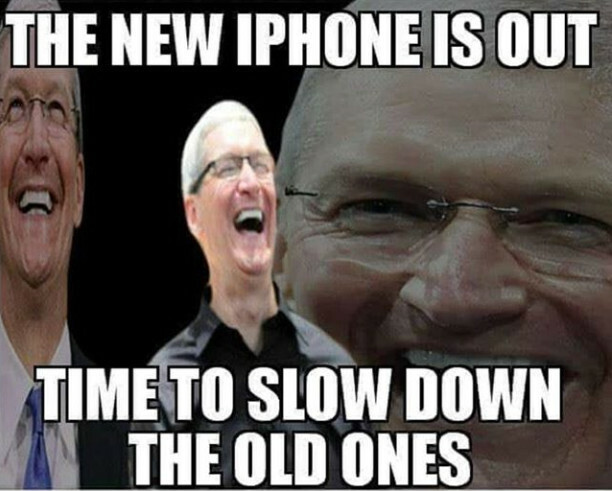 Apple has become more tone deaf and out of touch than ever before. Vasudev, ronaldheld and hmscott like this. Besides the price, which is disappointing, I'm running a 7 Plus and will be updating to the Xs Max. The dual sim make the upgrade more then worth it for me, as I am about to start my own startup and having the ability for a second number and not have to carry another phone one less thing I have to worry about losing. Going from the 7 Plus, which I have had for two years, to the Xs Max is not a bad jump considering all the features added since the release of the 7 series, so it's easier to justify the cost. I only like iPhone for their FaceTime feature. I still can’t believe they still got that ridiculous notch. I see that they are trying to innovate , but don’t change the format of the screen. They might as well notch all their products. Xs Max, baby. 512 GB storage for all my NBR-related You tube videos. Totally unnecessary. Already leasing my X via the upgrade program. All locked and loaded for Friday night, 3am EDT. This phone should tide me over until 2020 when I get my desktop. The X, even though it has a 5.8 inch screen, is just too small. Hate typing on that thing with my fat fingers. Vasudev, Mr. Fox, Grant B Gibson and 2 others like this. Phone fetish all the way. Really stupid reason. But, unlike a computer or a car, the phones I buy never seem to scratch the itch. There is always something I want in the device, but the OEM consistently does not provide it. We carry phones everywhere we go. They are always on and almost always in use. Facebook, Twitter, social media, etc. I really had high hopes for windows phone when continuum was announced. That platform would have allowed us road warriors flexibility to have a laptop computer in the carry-size of a phone. I had high hopes for the iPad Pro. Give me an iPad with a desktop OS and track/mouse support, and I would be sold. Give me an iPad where I can download Steam and play AAA games, and I'm sold. The way I see it, Apple has me where they want me as a phone customer. I always return to the iPhone. Where they lost me completely as a customer is in the computer world. Apple's problem they'd rather focus on the mobile market vice computer market. Last time I checked, I could buy my P870 of my dreams with what a specced out Macbook Pro would cost. Vasudev, hmscott and GrandesBollas like this. Lack of headphone jacks have been an annoyance. Especially, since I can't always use my BT airpods. I have an Apple Music subscription I listen via my Bose QC35 headphones when I mow the grass. Otherwise, I stream audio via my car BT. I've also gotten in the habit of not using the lightning connector. I primarily charge the phone via the wireless charger. It pales in comparison to the fast wireless charging I had seen with the Note 7. I figure less wear and tear. Vasudev, Mr. Fox, Grant B Gibson and 1 other person like this. "Super Retina HD display with HDR and True Tone." Marketing coming out extra hard this year. Vasudev and hmscott like this.